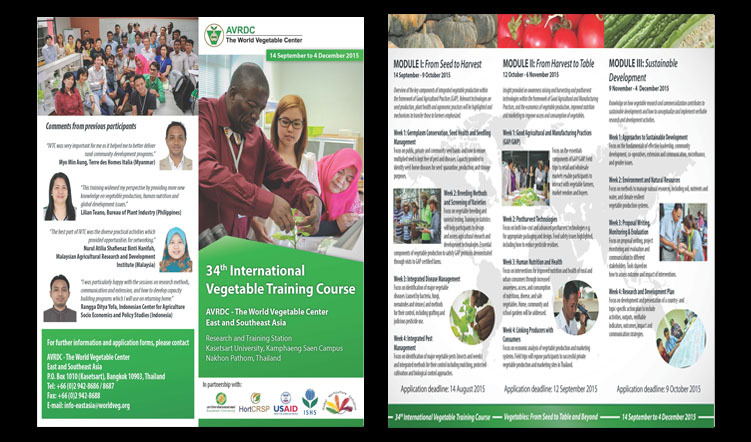 The World Vegetable Center (AVRDC) organizes the 34th International Vegetable Training Course on 14 September – 4 December 2015. 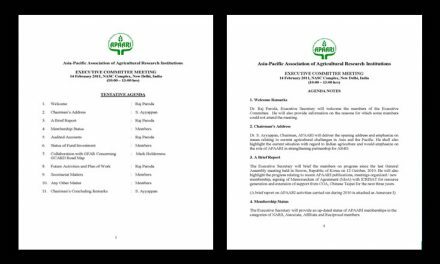 It aims to enhance technical, scientific and managerial skills of the participants to contribute to sustainable development of their countries through increased production and consumption of health-promoting vegetables. 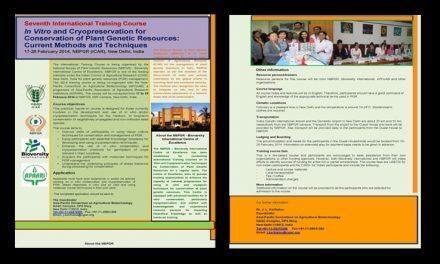 The training emphasizes advanced and sustainable vegetable production and postharvest technologies, farmer education, marketing, and human health and nutrition. 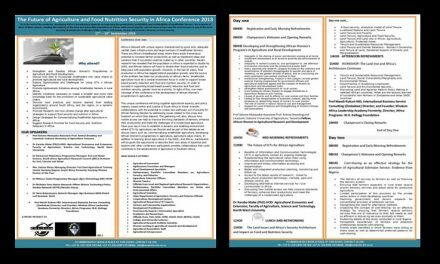 In addition, the training will enhance awareness and understanding of emerging global development issues and technologies. 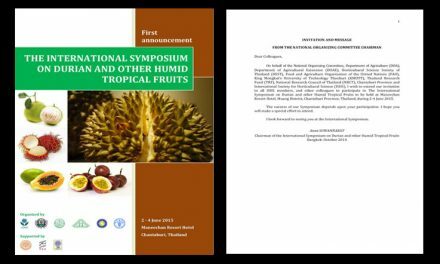 Researchers and extensionists from national and international agricultural research institutes, universities, non-governmental organizations and policy makers. Participants will be housed in single apartments close to the training venue with equipped facilities and free internet. The fee covers tuition, board and lodging, course materials, local transportation and in-country accident and health insurance.